You can share every release you create on GitHub with a unique URL. 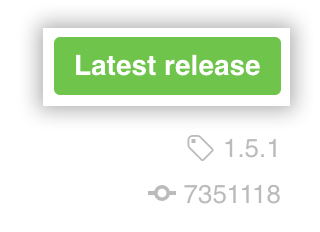 Find the release you want to link to, and on the left side of the page, click on the version number. Find the latest release, and right click on Latest Release and copy the URL to share it. The suffix of this URL is always /releases/latest.